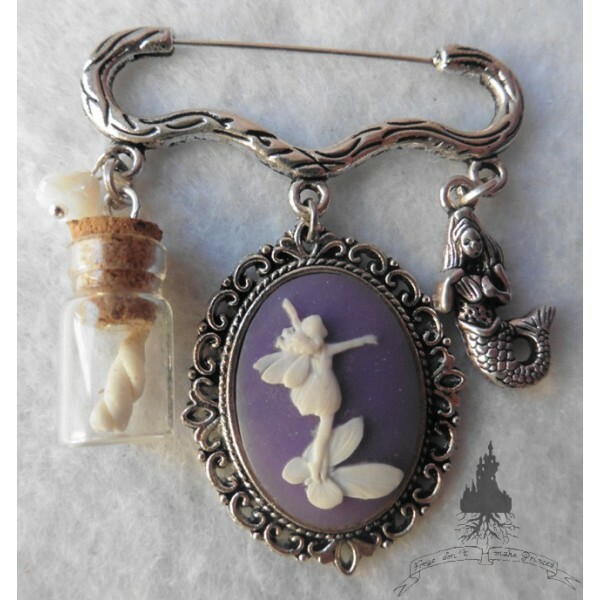 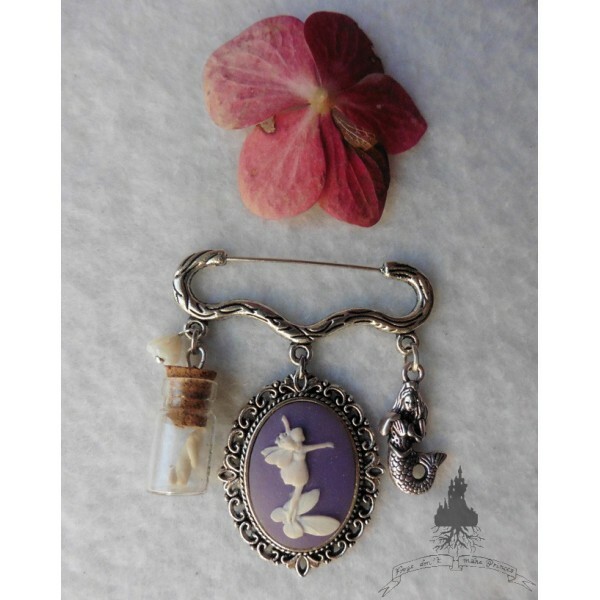 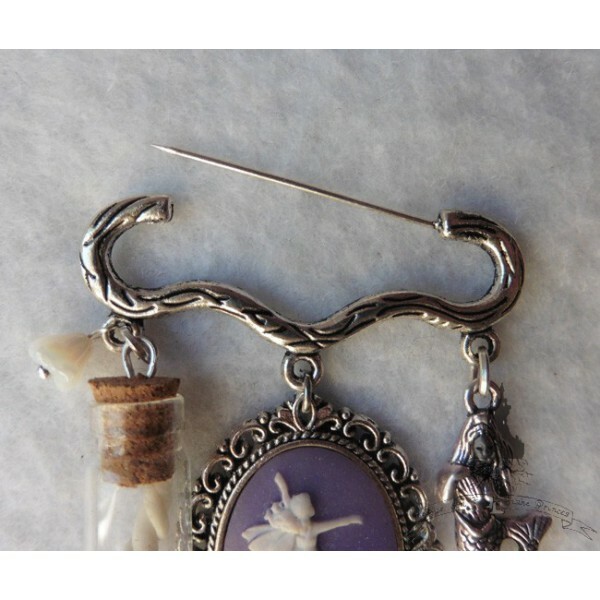 Aged silver metal pin brooch with engraved medallion and white fairy on mauve cameo resin. 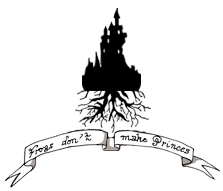 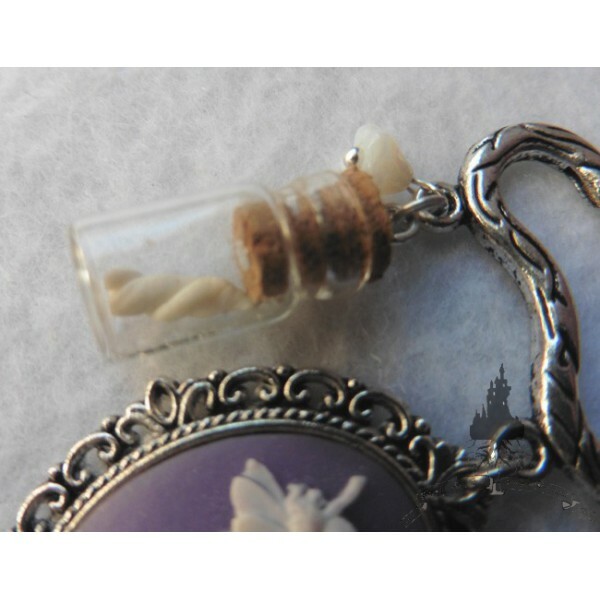 A small silver mermaid and mini glass vial containing a miniature unicorn horn are surrounding the cameo... 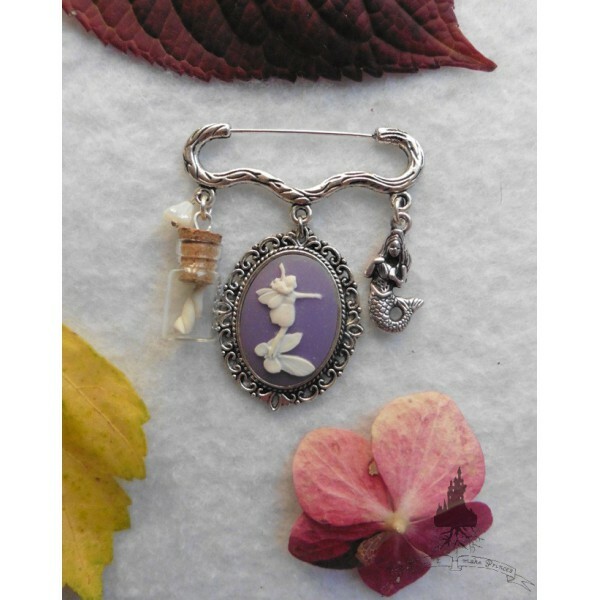 Tiny flower in white glass.